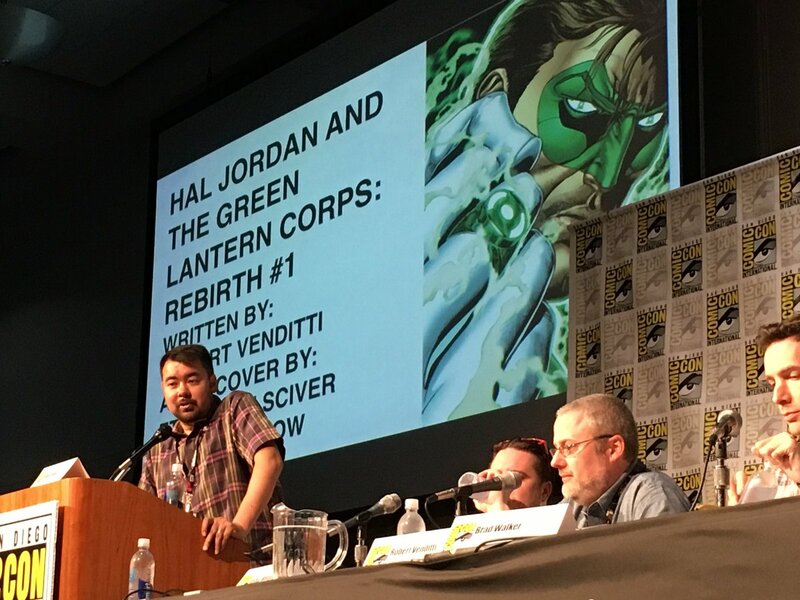 DC Comics continues to be the more exciting brand in this year’s Comic Con with the DC Rebirth panel for the Green Lantern books. 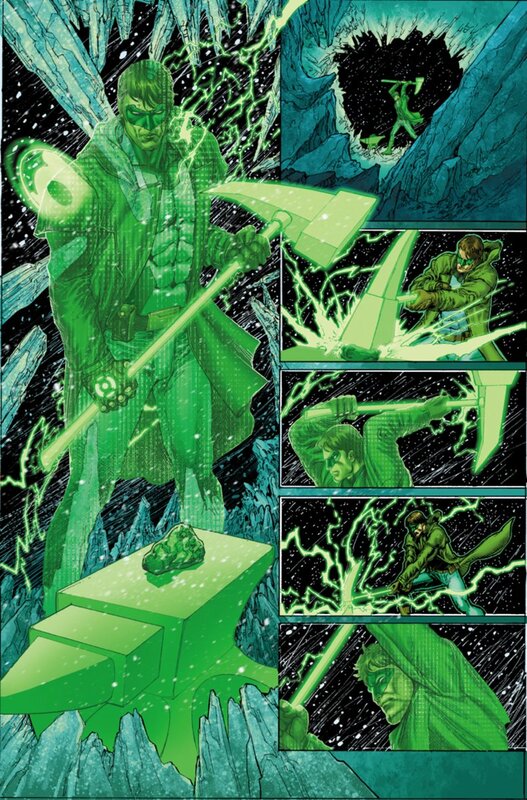 During the GLC panel which included ‘Hal Jordan and the Green Lantern Corps’writer Rob Venditti, returning to the established status quo also meant that Hal Jordan would have a chance to do something awesome, and that something-awesome just happens to be the creation of his own power ring. 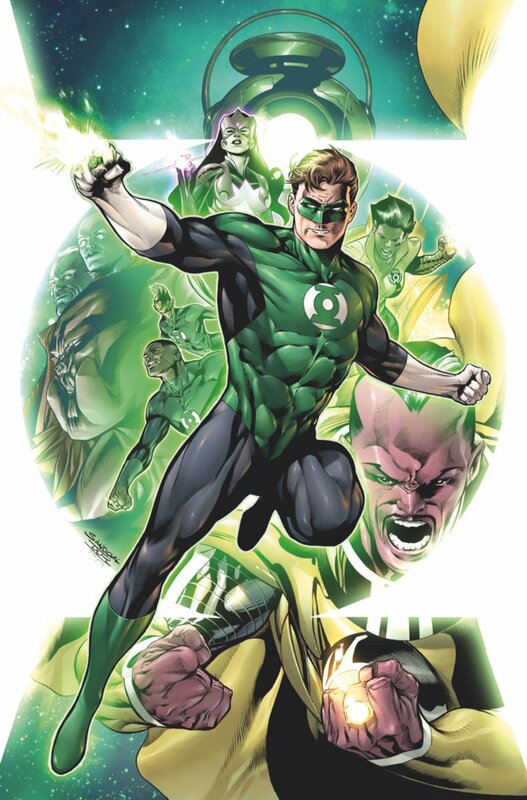 So what we know so far is that the Green Lantern Corps went to the edge of the universe for sometime, leaving Hal Jordan the only legit Green Lantern. That’s of course after the terrible stuff that happened to the Corps during Hal’s run as leader. 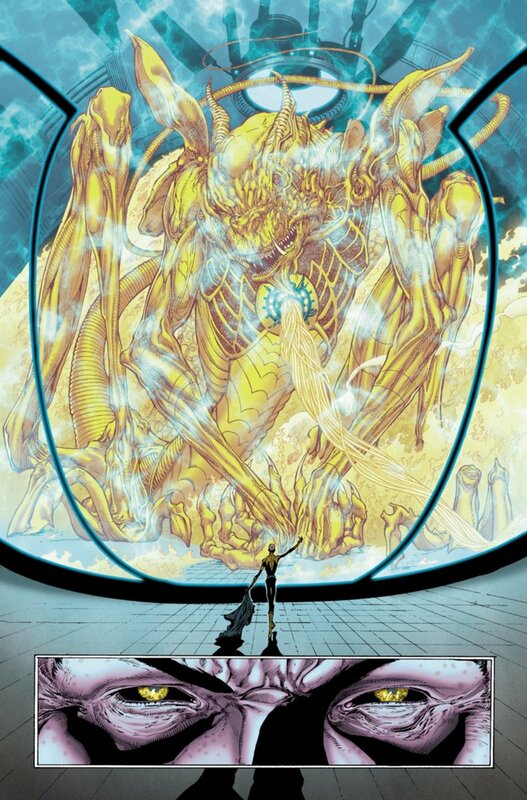 So now it looks like things are reverting to normal and he’s doing all the cool stuff that no Lantern can do. What I’m not cool however is Hal still sporting his “Space Hobo” look, the same look he had when he squared off against Parallax some time ago before Rebirth happened.